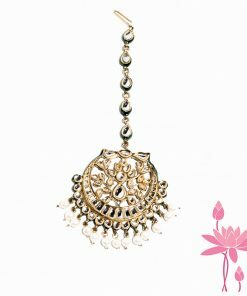 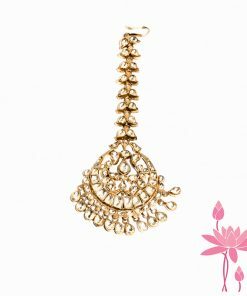 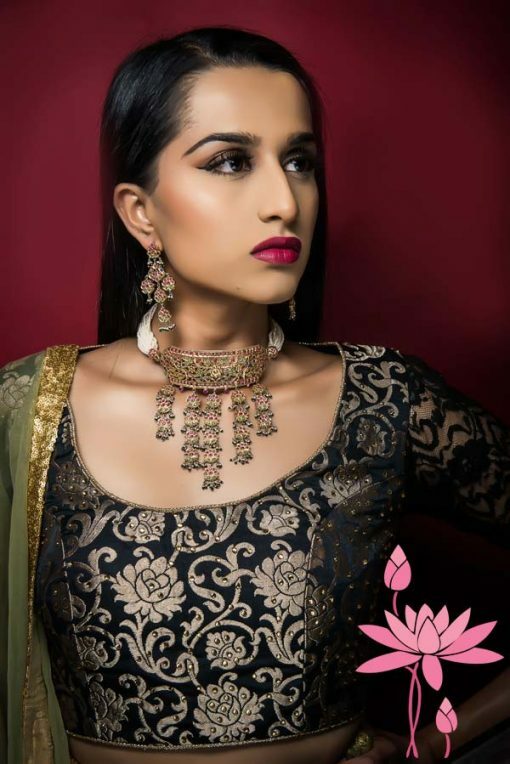 This beautiful bridal necklace is called the Jhaler Necklace. 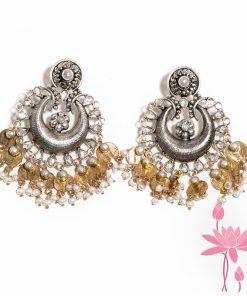 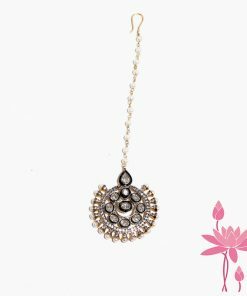 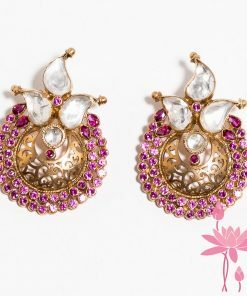 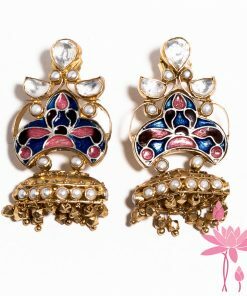 The Jhaler or delicate danglers makes it look stunning on a brides neck. 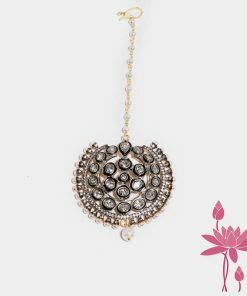 Pearl strings add a lovely feel on this beautiful choker. 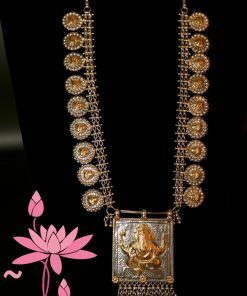 Silver Necklace with Kundan Drops in Meenakari Work .